Perhaps the most celebrated mother of the Indian cinema, actress Reema Lagoo passed away at 3 a.m. on Thursday. Known for her roles in movies like 'Hum Aapke Hain Kaun,' 'Kal Ho Na Ho' and 'Vaastav' and TV shows like 'Shrimaan Shrimati' and 'Tu Tu Main Main', Lagoo was admitted to the Kokilaben Hospital last night when she complained of chest pain. She eventually died of cardiac arrest. The actress was born on May 18 in 1958 and appeared in Marathi, Hindi films and television shows, serving the industry for nearly four decades. 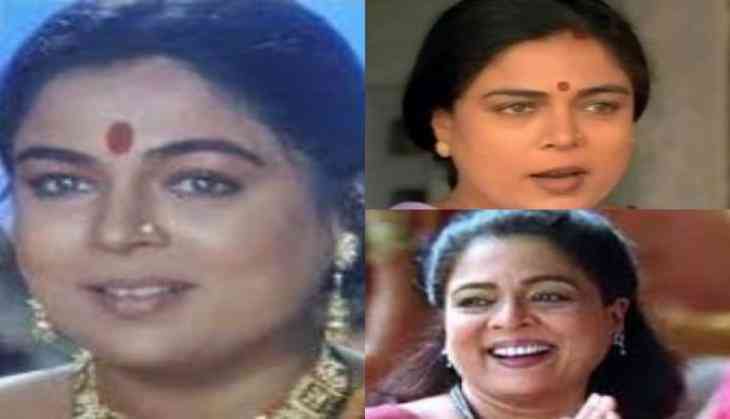 Having shared screen space with actors like Shah Rukh Khan, Salman Khan, Anupam Kher, Kajol, Sanjay Dutt and Madhuri Dixit, Lagoo has played a plethora of roles ranging from character roles to the actor's mother. Her most popular movies include 'Kuch Kuch Hota Hai,' 'Yeh Dillagi,' 'Maine Pyaar Kiya,' and 'Hum Saath Saath Hain' among others.